My little Sara, AKA “Criminal,” stalking another one of my rescues. One year later, she’s a far different soul than the one I pulled off the streets. It’s been so long since my last post, I feel like I’m re-learning WordPress. Fortunately I’ve kept up with the amazing words, art, and images of all of you. The scope of talent, and the depth of support, continues to take my breath away. Throughout the week, educational institutions, animal shelters, rescue groups, and humane organizations across the state will be hosting scores of wonderful animal-related special events. Educators, students, businesses and caring citizens across Florida will be joining in, creating and planning their exciting activities to celebrate and help animals. Events will include adoption fairs, spay/neuter events, shelter volunteer and beautification days, programs in libraries, walks for the farm animals and therapy dogs visiting hospitals and nursing homes. Also to be included are a salute to our canine military and police dogs, cat initiatives, educational programs, blessings of the animals, and fun-filled festival days for families to come and enjoy food, music and the always amazing animals! Help speak up for the innocent and voiceless of our state, this week and every day. It doesn’t take much. 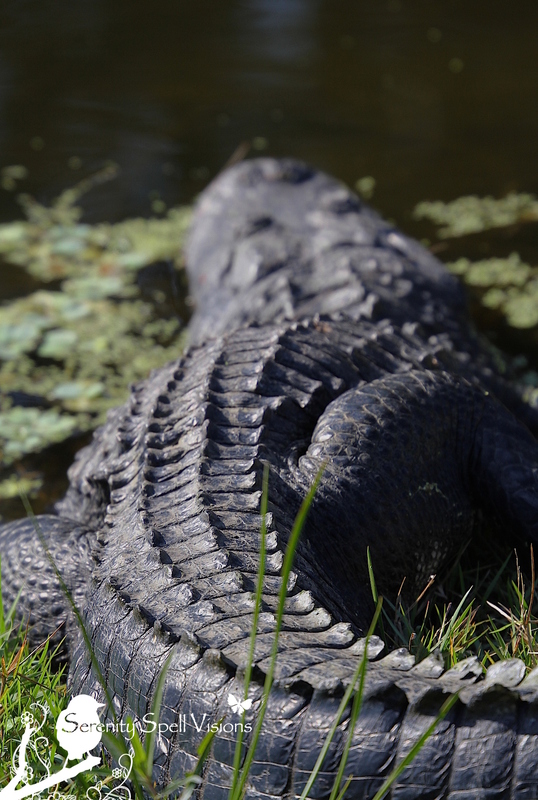 And be sure to visit the links to the right, under “Florida Nature Blogs.” Blogs like janthina images, Walking with Alligators, naturetime, and Our Florida Journal showcase and highlight the plight of our area’s most unique and beautiful creatures. One of the neighborhood kitties I’ve TNR’d (Trapped-Neutered-Released), with the help of some amazing organizations. 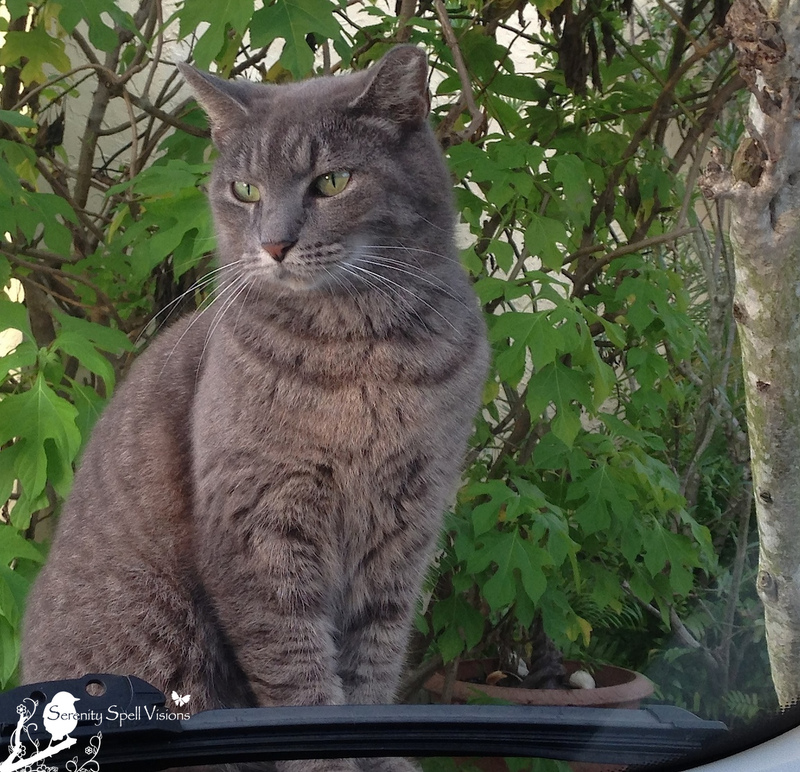 Here, “Momma” sits on my car (immediately upon my arrival), waiting for…love? OK, food. ← Peek-a-Boo, I See You! Oh yay YAY! Yer back! Now stay back! What a wonderful post. I hope you’re doing well with your snow, and cold! Wow, this has been a season. I’ve been north much more this year — no words. Honestly, no words. Thanks so very much — it’s truly an honor, coming from such an incredible artist and ardent supporter of the animal kingdom! A week for the animals is very well deserved. And welcome back! Thanks so much! I miss this space — but thank goodness I’ve been able to keep up with all your wonderful work! These events are great, and will hopefully highlight so many more things that can be implemented within the States to help both animals AND humans. It’s wonderful!! I hope everyone will click thru on this one-not only this post but everything on Serenity Spell is worth seeing! THANKS so very much for the reblog!! And for the kind words. I know you’ll enjoy those other blogs as well, since they’re kindred nature- and animal-spirits. I only listed the Florida-based ones though to the right, for this blog. Otherwise the list would be a bit nutty. 🙂 Hope you’ve been well!! What a delight to find you here this morning, along with your wonderful photos. Sara’s a beauty – my special favorite among these photos – but they’re all deserving of admiration. It’s just great to hear that a week is being devoted statewide to animals of all sorts. There are a lot of local programs here, but I’m not sure I’ve heard of anything across the state. I’ll have to check. The events they have planned are really wonderful; designed to help both the animals AND the humans. I hope word spreads, and more individuals and groups become involved. I just read an article today about a stray dog adopted into a hospital — and the TREMENDOUS good he’s done. Of course! Thanks again — it’s good to talk to you here, and not just commenting on your site, heh! Glad to see you back! I’ve missed your thoughtful posts and gorgeous photos! Aw, thank you so very much! That’s incredibly kind of you to say — I miss this space and everyone terribly. You know, I still have your “Plant Intelligence” post on my computer screen!! It’s been a passion of mine for YEARS. Just a fascinating field of study. And I’m waiting to devote time to read it WELL. And the links you provided, too. I can’t wait!! Good to ‘see’ you again. And the animals. Thank you!! It’s wonderful to be back… Finally! I hope to keep up with the posts, this time. 🙂 I hope you’ve been well!! YAY! Ditto, ditto, ditto! They have some wonderful events planned, too…. I hope word really gets out. What a great and timely return post, Christina! You have been missed! Thank you for mentioning our blog and even if one person changes the way they behave toward animals, it’s all worthwhile! An additional reminder as we head into Florida’s Week For The Animals – Friday through Monday (Feb 14-17) is Audubon’s annual Great Backyard Bird Count. It’s for all levels of experience and can really help with contributing to the data base of bird knowledge in order to better manage all our resources. 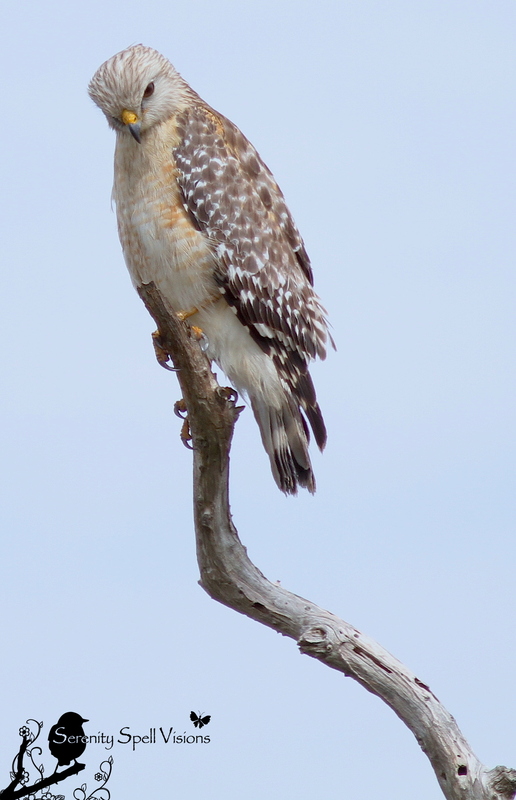 Here’s a link for more information: http://gbbc.birdcount.org/about/. It’s really good to see your post – looking forward to MORE! What a wonderful thing to say — THANK you so very much!! I’ve missed this space terribly. And thank you for mentioning the Audubon event — how timely! I’m going to be letting a few friends know immediately…. Happy to see you back, Christina, and thank you for the information. Enjoyed your photos — missed you. Thanks so much!! It’s wonderful to be back, especially returning to such kind, talented and incredible people such as you. So welcome and looking forward to more of your thoughts and photos. It’s wonderful to *see* you again, wink! I am continually amazed at the ability of wild creatures to adapt to human intervention in their world. Ditto, completely! I recently read a fascinating update on that very topic — I believe it was British. The increased success of various species in the cityscapes. HelloHello! Your haircut resembles mine! LOVE this post – we must respect, honor and love these beautiful creatures, be they feathered, furred or scaled. 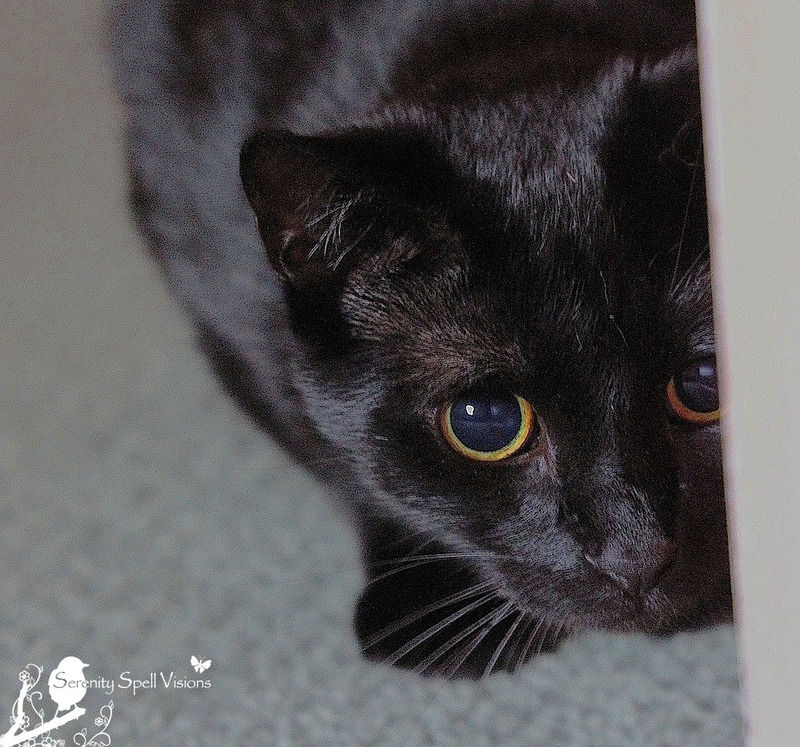 Sara is so ebony and silken – I love watching cats stalking and waiting, calling back to instincts that are centuries old. My parents cat – Aubrey – was stalking a squirrel the other day; she would have tangled with it had there not been a window between them.. However, not to diss Aubrey, but I think squirrlie would have had the upper hand! THANKS so very much! I’m thrilled they formally organized such plans — really wonderful things lined up to help both critters and humans alike. I just wish they could push forward, more (for example, with putting strays into nursing homes and hospitals — studies have shown, blah blah blah….). I just love watching the kitties stalk — it’s mesmerizing. But you’re right: Sometimes their hearts are a wee bit larger than their brains. Such pretty kitties! And the alligator is cute too! Welcome back to the blogosphere!! You HAVE been missed!! Your new icon picture is great although I am fond of that joyful tree hugging image also!! The new pic infused the green light looks very ‘earth mother’ though!! Hoorah hoorah I’m back! I’m still behind with the rest of my life… wink… But I’m trying to return to the blogosphere, yay! 🙂 I took that picture on a solo hike, off in the middle of nowhere, after a few hours of hiking. I think I was in a bit of a rush to return to the car before the sun got any lower! Heeee….. I am not in favor of hiking without a buddy…so you be careful when the urge strikes and you are solo!! Wear boots and take your phone..file a flight plan with someone for sure!! Otherwise solitude can make one hyper aware of the sounds you don’t ordinarily notice..in a good way I mean. Can be a good emotional recharge. Oops – forgot to say his to your cats from my cat Erofej. He finds all four and two-leggeds quite fascinating! Slowly, but surely…. 🙂 Hoorahs!